"I am so grateful for all your help and support in making this all happen. You are not only a great realtor but you cared and understood where i was coming from. This would not have happened without your professionalism and kind heart. Thank You! "Shane Dent was recommended to me by trusted friends whose experience was duplicated by my own. Shane is "in touch" with what is going on in real estate and he relayed pertinent information promptly but didn't push. Shane was always available to answer questions, relay information, offer opinions - he did so quickly and was always pleasant and reliable. And he was ALWAYS punctual. The happy fact that he sold my property so quickly and without a hassle is the best experience - I highly recommend it. And, I highly recommend Shane Dent." 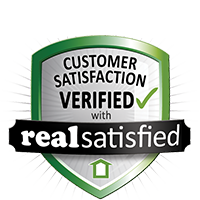 We purchased our Sherbrooke Estates home in South Surrey, BC, October, 2013 through Shane Dent our Homelife Benchmark realtor and were 100% pleased with his impeccable, calm, thoughtful, professional service in our regards. From the moment we met Shane we were impressed with his outgoing, friendly manner and sincere interest in helping us find a home that would suit perfectly our needs and budget. Shane’s lived in White Rock, BC all his life so coupled with his many years of experience in realty, he’s got all the information a Fraser Valley home-buyer needs to know. We lived in Edmonton, AB when we were searching for a home here in BC so much of our correspondence with Shane was done online and our questions to Shane were always answered accurately and quickly. He regularly sent us all the feature-sheet updates of properties that were for sale in the locations we preferred. Our phone calls were returned promptly with the requested information. When we flew out to White Rock / South Surrey in early October to view properties for 3 days, Shane was always punctual for showings, open to our ideas and choices, never pushy, continually upbeat and cheerful, and he made himself available at anytime that we wanted to check out any other market option that serendipitously opened up. When we found the desired home, Shane was highly skilled at obtaining the best results for us throughout the entire bargaining process and he keenly recognized items we should be requesting in the contract remain with the home. He also connected us with an excellent house inspection-team that gave us 100% peace of mind. In the interim period between our purchasing of the home and our actual move-in date, Shane continued to be readily available whenever we needed his advice or more information. Although he’s a realtor highly in demand and very busy, we were always given his complete and sincere attention and he made our whole realty experience a very positive, happy one. Thanks again for your consummate service, Shane. On behalf of the West Coast Golf Group, I would like to thank Debora and Shane Dent for their outstanding support as platinum sponsors of the Canadian Tours' Greater Vancouver Charity Classic held at Hazelmere Golf Course for the years 2006, 2007 and 2008. 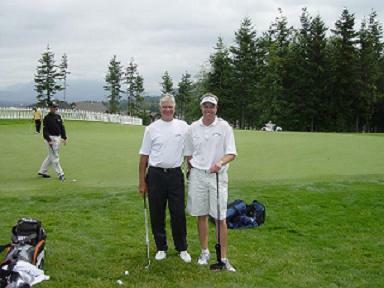 With the help of community and business leaders such as the Dents, the tournament has raised over $210,000 for BC Children's Hospital Foundation and Surrey Memorial Hospital Foundation. Debora and her family have always been huge supporters of Hazelmere Golf Course starting from the time her son's Shane and Cory began working at the club more than 20 years ago. We continue, to this day, to have a close relationship with the Dents and are most grateful forthe marketing assistance they provided in selling out the highly acclaimed Hazelmere Villagetown homes. We enjoy our association with Debora and Shane and wish them both continued success. It is with pleasure that I highly recommend Shane Dent for all your real estate needs. Shane has excellent communication skills and is extremely reliable and trustworthy which is a real asset when you are selling or purchasing a property. I really appreciate the flexibility of Shane's time and willingness to work on short notice. Shane was quick to volunteer and assist in all areas of our home search and sale and his negotiating skills were commendable. Shane is an exceptional realtor and has my highest recommendation. It has been a great pleasure working with Shane over the last few year's. Shane has done several real estate transactions for us and has always proven to be very professional, pleasant and knowledgeable. Most importantly he is very trustworthy and genuinely interested in doing the very best job for his client. We would without hesitation recommend Shane to anyone who is buying or selling a home. Thank you Shane for all your help and attention to details over the years. Working with Shane was the best decision we made in 2009 in realizing our dream of moving to a new home. With our first baby on the way – Shane understood the need to listen and work towards our goals listing and buying a new home. Shane created tremendous interest in our listing and secured a fast no fuss sale. Shane assisted us in our search with his knowledge of the local market, pricing pressures and a keen sense of value. We are very happy in our new home decision and appreciate the information and perspective Shane offered. I would recommend Shane to friends and family. My wife and I were happy to have Shane Dent as our Real Estate Agent for our townhouse that we were selling in the Panorama Ridge area of Surrey, and the purchase of our home in the White Rock area. In a professional manner Shane pays attention to all those details which can make selling a home a sticky operation. Because of this, and combined with his hard work and astute recommendations, we were able to sell our townhouse quickly. Shane treats his clients' needs as highest priority. he uses his professional experience and strategies to help his buyers and sellers achieve their goals efficiently. It is our pleasure to recommend Debora and Shane Dent to you. When we did finally decide to put our home on the market, it sold in one day! We found another home within the week. Overall, we were pleased with Debora and Shane and would not hesitate to use their services again. We would like to pass along our appreciation for the service provided by Debora and Shane Dent. They recently sold our house on Panorama Ridge. It wasn't an easy decision for us to sell as we designed and built this home, our view property dream home that we have lived in for the past eleven years. We were looking to downsize and they helped us find a wonderful view home in White Rock. We couldn't be happier. We feel very lucky to have had the privilege of working together and look forward to working with Debora and Shane the next time we sell our home. Anyone would be fortunate to have this team working with them. A success story! It didn't take long for Debora and Shane to find our new home. What followed was amazing as Debora and Shane sold our home in six days with multiple offers during that time. Needless to say, we would recommend this team to anyone looking for realtors that will represent them in a responsible, energetic, professional manner. We plan to move again in the future and hope that Debora and Shane will once again be available to us. Please take a minute and read the following about Deb Dent. My name is Cory Mantyka and I first met Deb in 1995. She was helping out myself and some of the other players on the B.C. Lions football team find places to rent. She was always available, very thorough, and helpful. When we decided to purchase a home, we automatically thought of enlisting Deb to help us. She once again came through for us. Her professionalism and prompt attention helped us find our home. We knew we were in good hands with Deb on our side. We would recommend Deb to anyone thinking of buying a home whether it's your first or fifth. When we were in search of a new home we spoke with many Realtors about listing our home and looking for another. We called Deb Dent because she had sold a house down the street from us in a short time. We had a very hard time looking for a new home and area we liked, so we called Deb every couple of months until we found the home we always wanted. When we call someone, we expect to have our call answered or returned immediately to let us know that we are important. When we called Deb, she would return our call within minutes so that we could talk about our concern and proceed with our day. Deb and Shane Dent make an excellent team, they sold our home fast and were very patient in helping us look for a new one. We really like that Deb and Shane are very honest, they say what they do and do what they say without forgetting the smallest detail. We will use Deb and Shane Dent in the future and recommend others too, as well, if they want excellent service. I was very pleased with Debora's services in the sale of my home and subsequent purchase of another. Debora always answered my phone calls promptly and with careful attention to detail … Debora and Shane work well together. Their energy is notable. What I particularly liked in dealing with Debora was her never-failing positive outlook and response. I think Debora approaches her work in a very professional manner. I'm pleased to provide this positive reference. We were totally satisfied with the service she and Shane provided. During the process she demonstrated a high degree of professionalism and skill as well as a good deal of persistence. She is thoroughly knowledgeable about the real estate business and utilizes a creative approach. She is a hard and tireless worker…We would recommend her services to you. We were extremely pleased with all aspects of the services provided by Debora and Shane Dent. Debora's bubbly professionalism and Shane's helpfulness make for a very powerful team. The recommendations and information we received with respect to our home and the market in general made us confident we were in the right hands. In addition to the services one should expect when dealing with a professional, the after sales service we received was a delightful surprise.